'A good book! It's a nice overview of wiki editing and administration, with pointers to handy extensions and further online documentation' - Brion Vibber, Chief Technical Officer, Wikimedia Foundation. 'This book is filled with practical knowledge based on experience. It's not just spouting some party line' - Rob Church, a developer of MediaWiki. MediaWiki is the world's most popular wiki platform, the software that runs Wikipedia and thousands of other websites. Though it appears simple to use at first glance, MediaWiki has extraordinarily powerful and deep capabilities for managing and organizing knowledge. In corporate environments, MediaWiki can transform the way teams write and collaborate. 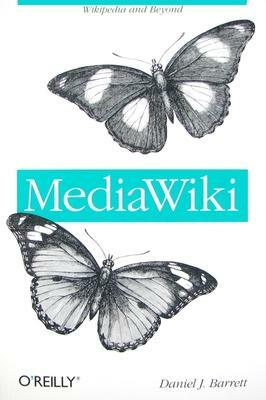 This comprehensive book covers MediaWiki's rich (and sometimes subtle) features, helping you become a wiki expert in no time.You'll learn how to: find your way around by effective searching and browsing; create and edit articles, categories, and user preferences; use advanced features for authors, such as templates, dynamic lists, logical parser functions, and RSS, to organize and maintain large numbers of articles; install and run your own wiki, and configure its look and behavior; and, develop custom wiki features, called extensions, with the PHP programming language and MySQL database. This book also provides special guidance for creating successful corporate wikis. For beginners who want to create or work on collaborative, community-driven websites with this platform, "MediaWiki" is the essential one-stop guide. 'I was a MediaWiki newbie before reading this book. Now, many aspects of the platform that were murky before are crystal clear' - JP Vossen, author of O'Reilly's "Bash Cookbook". Daniel J. Barrett has been immersed in Internet technology since 1985. Currently working as a software engineer, Dan has also been a heavy metal singer, Unix system administrator, university lecturer, web designer, and humorist. He is the author of O'Reilly's "Linux Pocket Guide", and he is the coauthor of "Linux Security Cookbook", and "SSH, The Secure Shell: The Definitive Guide."